Our business is family owned and managed, with Tony being in the industry since 1972. Enjoy our easy to shop store and meet our friendly flooring consultants to help you find the floor you've been searching for. Contact our store for a free measure and quote or simply visit our store to see the latest styles in flooring. 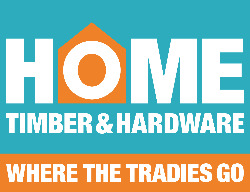 Go where your local tradies go! Our family owned business begun in 1961 with Cyril & Lena Thomson. The current owners Chris and Tracey Thomson, Chris being one son of Cyril & Lena, has over 40 years experience in the industry and has close relations to all his major suppliers. Come in and see our friendly staff with a wide range of Electrical Appliances, Mobiles Phones, Home Furniture & Bedding and Bedroom Furniture we also specialise in Indoor & Outdoor Blinds. We can deliver, install and remove your old products. With our buying power through our three major retailers LEADING APPLIANCES, HOMEMAKERS and SLEEPZONE you can be happy to know you’re getting quality products at low prices. I operate throughout Victoria however am based in Euroa. Tiger Solar is fully owned and operated by myself, with a very small dedicated group of professionals totalling some 25 years. Based in North-East Victoria with consultants in South–East Melbourne suburbs and also the North and Western Suburbs we can respond to your enquiry in a very short time frame. We analyse your needs, then design a system that best suits those needs...we come to you. Local wineries have used our services plus more recently, the Euroa Bowls Club. Our main business is really for residents and I have be part of at least one hundred projects within 50km's of Euroa. Solar Loans are available also to approved applicants...please feel free to go to my website and apply....or simply give me a call.